The Norse men’s soccer team fell 0-1 against the University of Kentucky Wildcats Sunday. In the final exhibition game of the season, NKU struggled to rally after UK scored in the 18th minute of play. A missed shot in the 87th minute by Calvin Murphy (18) would have tied the game. On Aug. 25, the Norse face the Canisius College Griffs for the men’s first regular season home game. 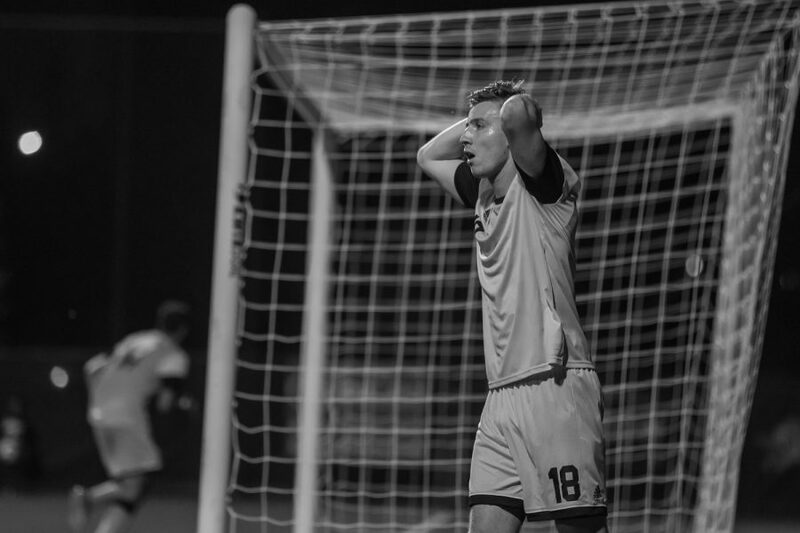 Calvin Murphy (18) reacts to his missed shot in the 87th minute that could have tied the game for the Norse.